With only 3 ingredients, you can put together a quick and easy sandwich for a lunch meal. 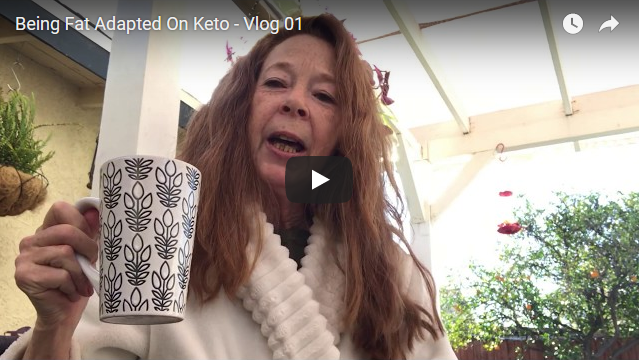 I made homemade tortillas (using the 2 ingredient tortilla recipe from KetoConnect recipe). You can also use the off-the-shelf Siete almond flour tortillas. 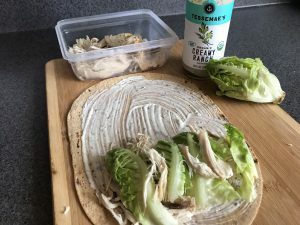 Similar to a chicken Caesar wrap, this sandwich roll-up uses Tessemae’s Creamy Ranch (all natural) salad dressing as the spread. 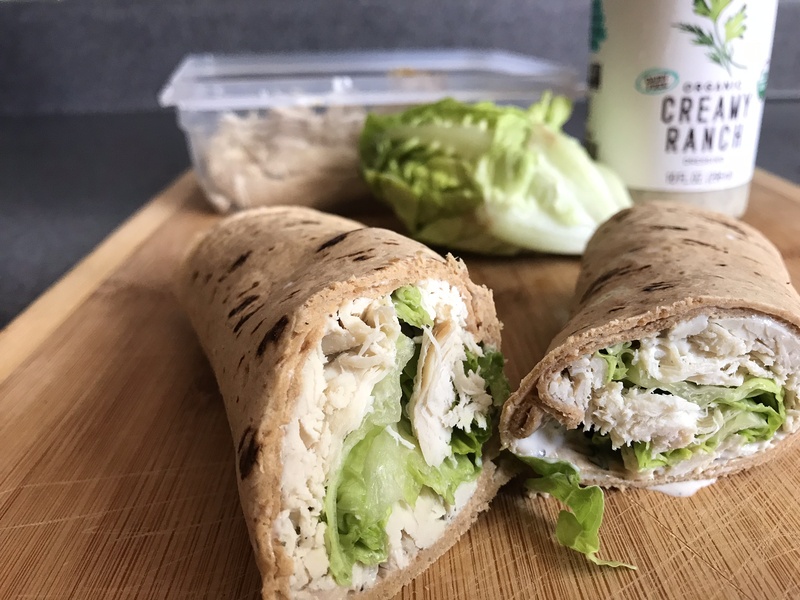 Add chicken with lettuce, or roast beef and lettuce … or whatever sandwich filling you want! 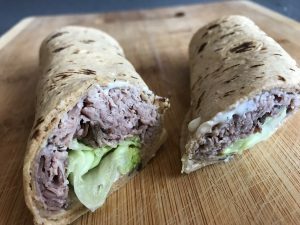 Place chicken (or deli beef) and lettuce on top and roll up. Cut in half to eat, if desired.